It's not all about the money, money, money! Earlier in 2015 we produced a Research Paper that highlighted what employers think candidates want and what candidates actually want. What attracted them to their current role? What keeps them in their current role? If not actively looking, what would attract them to a new role? We asked the same style of questions to employers to ascertain what they thought were the key drivers for candidates. One of the areas that reflected the widest disparity was Employee Benefits – 62% of candidates ranked this as important, whilst just 32% of employers thought this was important to a candidate. Clearly, I specialise in recruitment and I’m not an employee benefits consultant, however in my experience when people ask me about the ‘job/company’ I’m promoting whilst ‘what’s the salary range?’ is usually the first question, this is then closely followed by ‘what’s the benefits package like?’ this IS important to candidates; some candidates have even been willing to take a slightly lower salary in favour of having a decent benefits package. 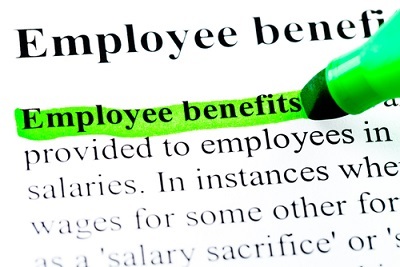 A good benefits package offered by an employer shows they care about their staff; this will help attract all-important quality individuals to add value and assist with the growth of their business, it will help them gain more loyalty from their employees, achieve greater staff performance and overall retention. Some employers in the past may have thought that benefits aren’t that important to younger members of staff i.e. ‘they’re not interested in pensions yet’ or ‘they don’t need group life cover’ however, with the introduction of auto-enrolment this is changing and the younger generation are being encouraged, and rightly so, to take steps to plan for their financial future. With regard to more mature candidates, the benefits become even more important; with the level of pension contribution and healthcare being pretty high on the list together with the option to add family members to provide that added protection. To conclude; our survey, which was completely independent, clearly shows that the benefit package on offer is really important when candidates make a decision to join a new company and can even be a deciding factor when an offer has been made. So my advice to employers is not to base everything just on the salary range, look at the overall package on offer. For smaller businesses, whilst offering employee benefits may cost a bit more initially, the long-term advantages can greatly outweigh the initial costs and contribute to the overall success of your business and enable you to acquire great professionals who are in it for the long game. Note: All comments are moderated and will appear as soon as they are approved. (Reg No. 6822844) Registered Office: 54 Parrys Lane, Stoke Bishop, Bristol BS9 1AQ. Sandringham Wood is a partner company of Preferred Recruitment Solutions (PRS).